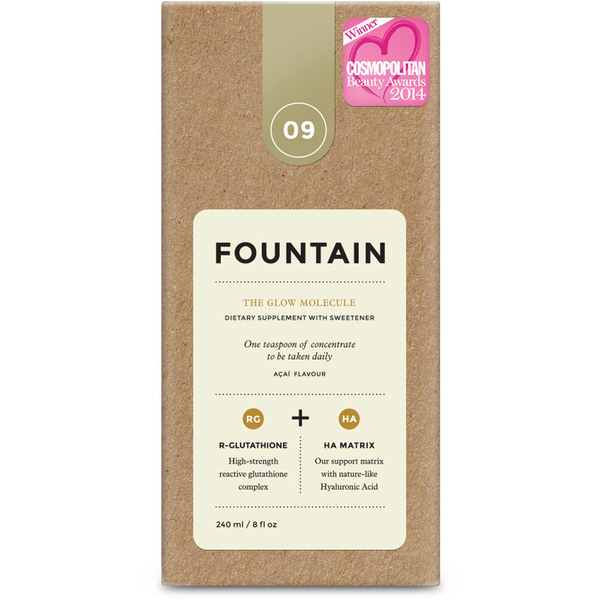 Winner at the Cosmopolitan Beauty Awards 2014, Fountain The Glow Molecule is a dietry supplement with sweetener developed to deliver a youthful-looking glow. 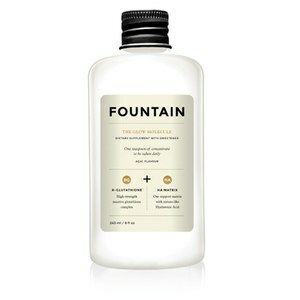 With a high-strength reactive Glutathione Complex, its formula has no sulphur after-taste and boosts the skin's natural radiance within a week of use. 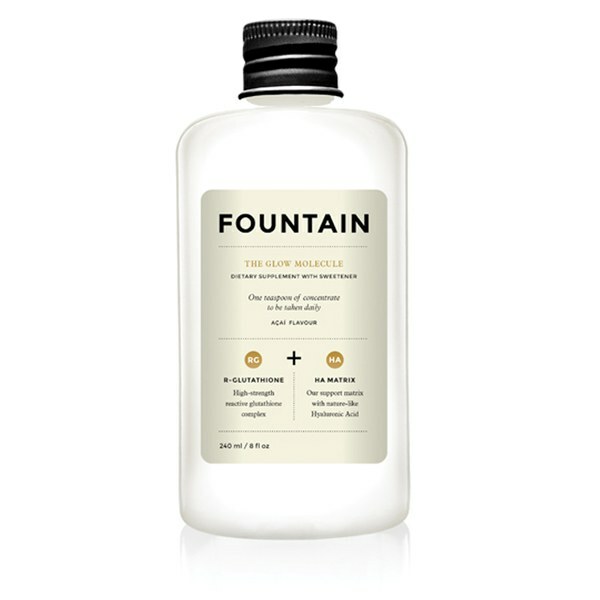 The supplement has a Hyaluronic Acid Matrix to target dullness and age spots, rebalancing damage caused by free radicals and environmental aggressors. Suitable for both men and women, The Glow Molecule effectively evens out tone to leave you with brighter, revitalised skin. E.N. Please Note: Do not exceed the recommended daily dose. Food supplements should not be used as a substitute for a balanced diet and a healthy lifestyle. Not suitable for pregnant and breastfeeding women. Keep out of reach of children. Keep away from sunlight and heat. Do not freeze. Consume within 3 months once opened. Store in a cool, dry place.